Whether this is your first date and you want to make a statement by ‘Wow-ing’ your new partner when you pick them up in a beautiful limo or you have been married a while and want to indulge yourselves with a little luxury, a date night in a limo has just got to be the way to go! ​The fun begins when you get down to choosing the perfect car to suit you. We have all types of limousines to suit every budget and taste, from awesome Hummers through to beautifully sleek Mercedes. One thing they all have in common is the addition of a professionally uniformed chauffeur who will take care of your every need from time you are picked up the moment you are dropped home. Inside the limos are as sophisticated and stunning as you would expect. With a superb stereo system to pipe out some romantic music (or at least the music that you know your date likes), soft seats, luxury carpets, soft lighting and even a bar, what more could a person ask for? Literally no-one could afford to be unimpressed by a limo such as this; whether you go for something low-key or ultra-sleek, all will draw a gasp of delight when your limo and driver arrive to transport you both to the date location of your choice. 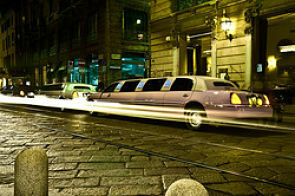 6 Events you will want to book a limo for! Hiring a luxury limousine is always a great idea if you want to spoil yourself. Whether you are a regular when it comes to limo rentals or this is your first time of experiencing the fabulous limo experience, there are loads of events that you can book a limo for. It’s a beautiful sunny day and you all fancy a trip through the countryside to your favourite restaurant with views. Get a group of family and friends together, split the cost and arrive in true style. Enjoy a tipple or two, knowing that your chauffeur will be driving you safely home. Whether Newcastle is your home town or you are in the area visiting friends and family, how about having some real fun together by hiring a sophisticated high-class limo to show you the sights of Newcastle? With room for everyone, you can focus on enjoying the visit and let our chauffeur treat you like celebrities. ​Newcastle is a great place to eat, drink and dance until late. With our limo driver taking you to and from your destination, the whole party can let their hair down, not having to count the number of units of alcohol they consume or worry about the breathalyser! Some great spots are the Quayside, The Gate and the Haymarket. 6 things to do in a limo! 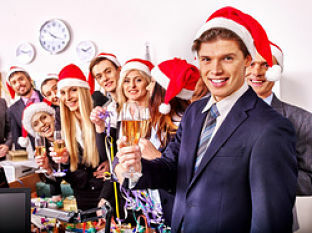 ​If you are heading towards the winter season, how about a limo Christmas tour? Rent out stunning limos with your family or friends and make a tour of the nearby cities with their many lights and decorations. Maybe stop off on the way for hot chocolate and marshmallows or some mulled wine at your favourite hostelry. With complimentary champagne, this is also perfect for Christmas parties. 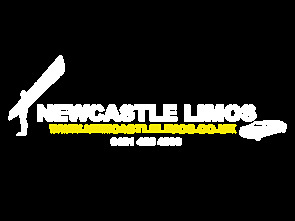 With Newcastle Limos we offer the best price limo hire in the North East and have amazing cars that can be rented for special events, like proms or weddings, anniversaries or birthdays. ​Perfect to make you feel unique and special.